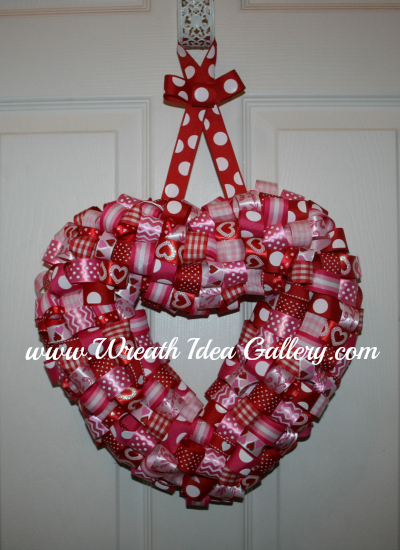 Hang a little love with these Valentines Day Wreaths. Want a heart shaped wreath, something soft and light, but also want the natural look of the grapevine. Here you go this one is romantic and easy to make. 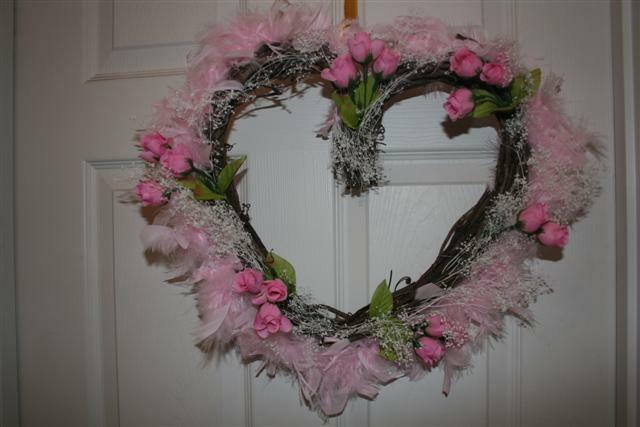 This is one of my own Valentines Day wreaths that I made. I started with a heart shaped grapevine wreath form. Take a light pink boa and string it around the outside of the grapevine, securing it at the top with a pipe cleaner/ fuzzy stick. The grapevine will somewhat hold the boa in place, however, any places that seems loose you can use a small fuzzy stick to secure it to the grapevine. I then added some sprigs of pink roses and baby's breath. I left enough stem so I could just weave it into the grapevine. If you want additional security you can hot glue into place. This can be for Valentine's Day, anniversary, wedding gift, lot of possibilities. 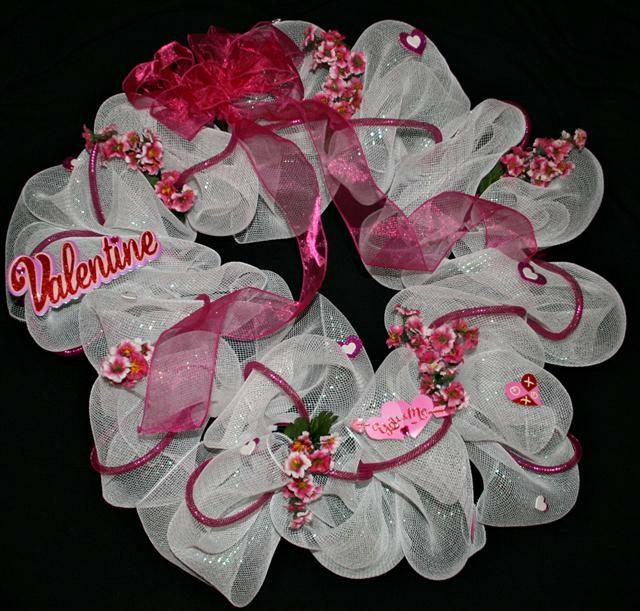 Valentines Day Wreaths you would like to share? BIG and beautiful. This is a large wreath but easy to make. Start with a 18' box style wire wreath form. 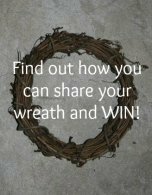 This wreath is 26 inches in diameter. Something to keep in mind if you have a specific place you are planning to hang. You can make yours smaller if you do not as large of wreath. Attached the white deco mesh and pink deco mesh tubing at the same time with pipe cleaners. You can adjust your deco mesh according to how full you want it by the amount of mesh between each attachment. Added a pink bow to the top left. I then added little bunches of pink flowers between the folds. I had found some 3-dimensional stickers at the craft store that said Valentine, you & me and added those and I had also found some sparkly foam hearts and added where needed. Deco mesh adds a lot of width to your wreath's final dimensions. Have a little more time, this is a little more time consuming but beautiful when completed. Pick out your favorite ribbons and get to cutting. 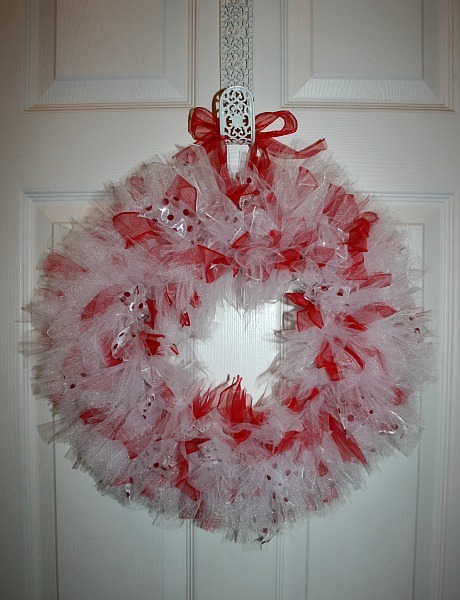 This wreath has 12 different coordinating ribbons to give it interesting texture. 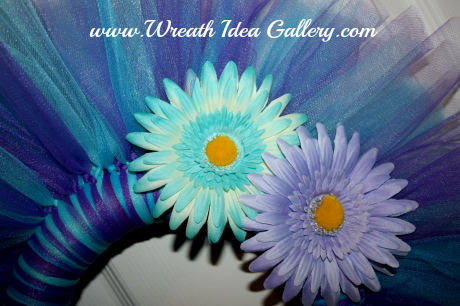 Can be made for any occasion by following these detailed ribbon wreath instructions. 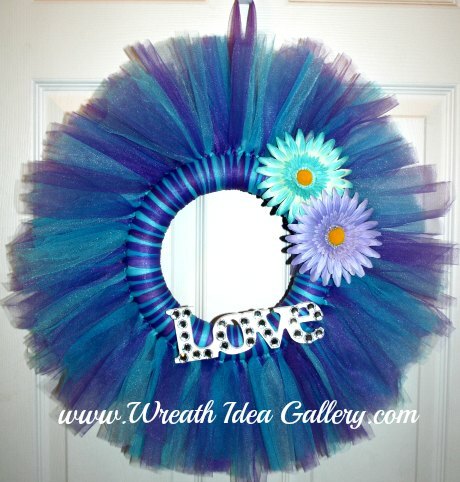 Tulle Wreaths are so much fun. 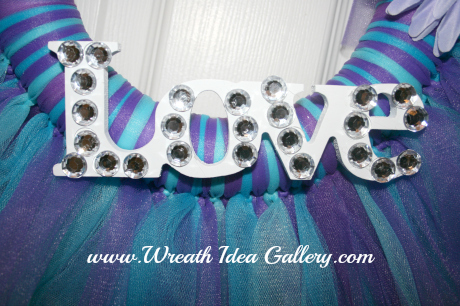 Easy to follow instructions to get you started..
After tying on the tulle I added a wooden "Love" with some hot glued rhinestones. A couple silk flowers and "Wa La"
You are ready to hang. Start this one on a round box wire frame. 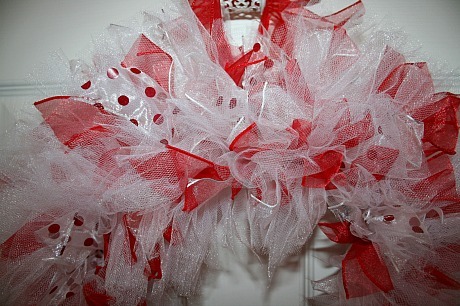 I used red, white, poka dot wire ribbon and white tulle cut into 6 inch pieces and tied onto the wire frame. Fill it up and push ribbons together to create a full look.